If you're looking to buy a gym in Glasgow, then you will have a lot of factors to consider before deciding. The location in Glasgow that you decide to buy a gym in will be a major factor. Moreover, you should also think about what kind of budget you can afford to have for hiring staff and buying equipment you may require. So, while it might seem more complicated than you initially thought, finding a gym for sale in Glasgow is completely possible with our guidance. There are various choices when it comes to buying a leisure property in Glasgow. You will discover some properties might be ideal to be bought as a dance venue. Moreover, we have leisure properties in Glasgow that could be used as a sports or concert hall. If you're searching for an outdoor based leisure property in Glasgow, then there are lots of choices available to buy. An example of typical outdoor leisure properties would be outdoors sports venues and campsites. Why not find the right outdoor based leisure property in Glasgow for sale with the help of our listings. MOVEHUT aims to list golf courses for sale in Glasgow when they are available. It may be worth thinking how your golf course business in Glasgow will be able to benefit by offering additional services. For example, by including a par three course, your gold course in Glasgow can appeal to a wide range of people, such as the beginners and those who just want to have a short game. So once you've decided on what approach you're going to take when buying a golf course in Glasgow, let MOVEHUT help you find the perfect one. Search for a touring park, campsite or caravan park for sale in Glasgow with the help of MOVEHUT. When looking, the location of your leisure property choice will be really important. If you're looking for a holiday park or a campsite in Glasgow for sale, we have enough choice here at MOVEHUT. 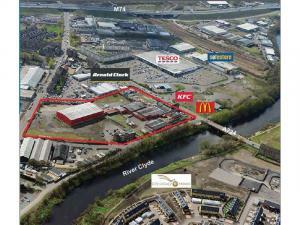 It will be useful to know how big the industry is when looking for a leisure property for sale in Glasgow. The leisure industry is a massive contribution to the economy. MOVEHUT can be the first step to make your leisure business dream come true.